Last night ago we had quite a soiree — not quite a night at the opera, but anyway some singing at the local theater. The program began with a movie, “Three Loves has Nancy” with Janette Gaynor, Robert Montgomery, and Franchot Tone. And speaking of “Tone” it was awful funny because it was all in very rapid French and the voices were not of the preceding three people, or if they were, they certainly disguised their voices, and yet the way they talked in the picture they seemed to be saying the French words alright, with appropriate French gestures, etc. 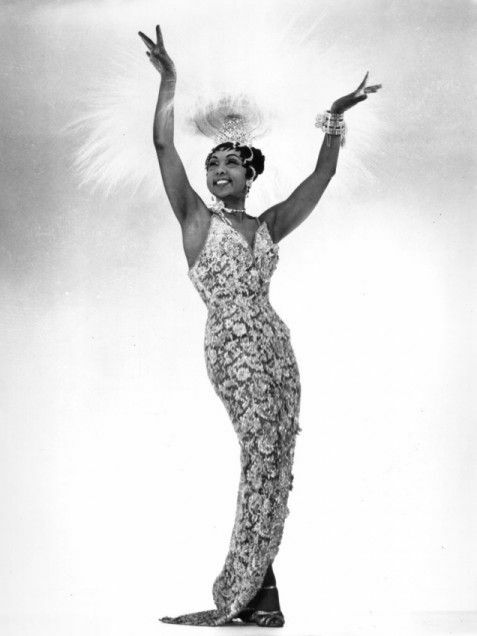 After the feature movie, there was a colored cartoon in American and then 45 minutes of almost constant singing by the formerly well-known Josephine Baker, who is now aged 42 but still has a fair voice, good figure, and plenty of stage personality. She apparently is now married to some French Officer and lives some miles from here. Mattie had seen her before in the U.S. and says she started in N.Y. and then didn’t go so good, so she went to Paris where she made a hit but then got married and finally ended up down here. She sang both French and American songs, alternately, and received quite a good response from the audience. The audience even sang with her on a couple of them. She sang Alain‘s song, the one he sang to us on the way down to Santa Barbara a few years ago, and which he also sang to Lois in N.Y.: “Darling, je vous aime beaucoup, je ne sais pas, just what to do.” She applied that to the soldier who landed here first a couple of months ago, and who was trying to make a hit with the French gals. She also sang: “J’ai deux amours, mon pays, et Paris.” All in all it was pretty good and the evening was enjoyed by all. 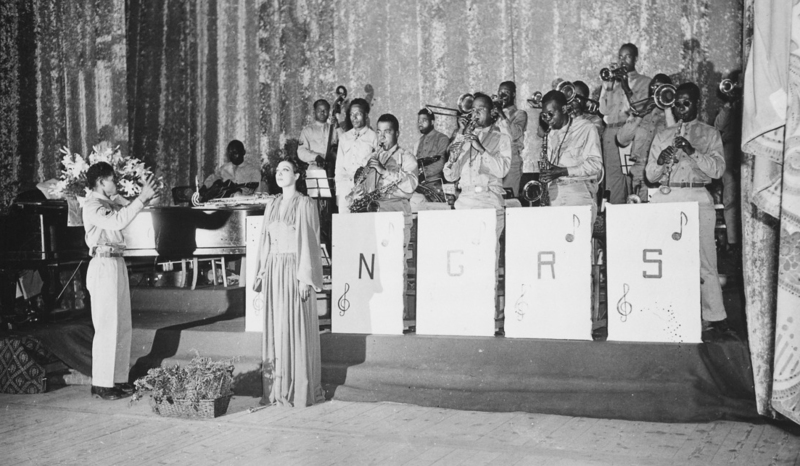 René and Lois enjoyed a performance by Josephine Baker, who sang American and French songs.